Trying to choose the winner of this bracket is like finding yourself between a rock and a hard place! So many strong teams that precipitate intense emotions from the fans. This bracket sports the sensational matchup in the first round of two stone legends: Pak vs Coe, the Bird vs Magic rivals of nephrolithiasis. In addition, the controversial role of internists vs surgeons in treating stone disease will crystallize in an exciting first round game. Fans will find that it is going to be a painful, colicky passage through each round eliminating quality opponents until the champion is either passed spontaneously, dissolved or basketed. Dr. Goldfarb is the Chief of Nephrology at the New York Harbor VA Medical Center and the Clinical Chief of Nephrology at the New York University Langone Medical Center. He has a long-standing interest in kidney stone pathophysiology. His group established a registry of patients with cystinuria. The goal of this registry is to follow patients with cystinuria and learn more about the course of this disorder. He also is involved in new drug development for the treatment of cystinuria. The consortium also studies Dent disease, primary hyperoxaluria and APRT deficiency (a cause of dihydroxyadenine stones). 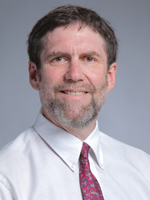 Dr. Goldfarb is the associate editor of the Clinical Journal of the American Society of Nephrology (CJASN) and the founding editor of CJASN‘s eJournal Club. Meet the competitors for the Kidney Stones Bracket! Medical therapy for acute kidney stones is Tommy Amaker’s Harvard basketball team, a group of scrappy players that just may be giant slayers. Patients with acute nephrolithiasis often are referred to the ER or urology. Some would argue that the nephrologist really has no role in the management of acute stones but should just stay on the sidelines until the acute process has run its course and then focus on preventing the next stone. Medical expulsive therapy run 180 degrees from that view. MET allows nephrologists to stay in the game with an acute stone and provide evidence-based and compassionate care to patients during an acute stone episode. One of the foundations for medical therapy has been inducing a brisk diuresis with IVF fluids. However in 2006 Preminger’s crew at Duke randomized patients with acute nephrolithiasis to maintenance fluids or 2 liters of normal saline. The result? No difference in pain, need for surgical removal, or AKI. Their results were confirmed by a subsequent Cochrane review. One of the primary concerns of MET is pain control. Opioids and NSAIDs both can be used. In a single center RCT, the combination of ketorolac and morphine was better than either drug alone. NSAIDs may have an additional benefit by reducing ureteral edema than can impede stone expulsion. Additional agents include alpha blockers (tamulosin, doxazosin) and calcium channel blockers (typically nifedipine) which are both effective at increasing the success and reducing the time until the stone is cleared. In a meta-analysis of 9 studies (693 patients) use of these drugs had a number-needed-to-treat of only 4 to get an additional stone expulsive. In addition, steroids may have a role, either alone, or more commonly in conjunction with one of the above agents. The steroids, may have act just like to NSAIDs to reduce the edema and ease stone passage. All of those contraindications to medical therapy melt away when the surgeon comes to play. Data from Matlaga et al. One of the factors that drove the price of SWL up was the relatively high rate of retreatment due to failure, 21% in SWL versus 3% with a ureteroscope. In addition to price, ureteroscopy is better in obese patients where SWL is less effective and in patients with bleeding risk due to the risk of liver or spleen bleeding with SWL. The xanthine oxidase inhibitors (XOI) have had an up-and-down season. They have had some big wins and then they stumble against some unranked basement dweller, think UNC (beat Duke, Louisville, Kentucky, lost to Belmont, Miami and Wake Forest). It’ll be interesting if they can pull it all together in the tournament and make a run. XOIs won the big dance in 1986 when Bruce Ettinger showed that if patients with a history of calcium stones and hyperuricosuria received 300 mg of allopurinol daily, they had less stone recurrence than with placebo. One of the concerns with allopurinol is interstitial nephritis and some have reported increased risk with concurrent use of thiazide diuretics. Given the common role of thiazides in stone disease, this may hold back use of allopurinol. Additionally many patients get under dosed. The maximum dose of allopurinol is 800 mg daily; however, many patients with CKD never get over the starting dose of 100 mg daily. 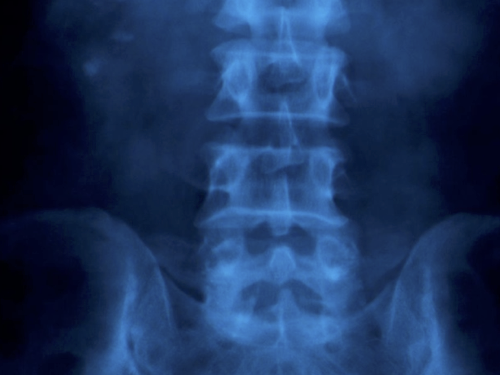 Another setback to xanthine oxidase inhibitors was Curhan’s epidemiologic work that showed that, contrary to expectations, increased urinary uric acid decreased stone risk rather than increase it. This result opens the door to the possibility that the reduction in stone recurrence seen with allopurinol in Ettinger’s study was due not to allopuriniol’s xanthine oxidase inhibition but some other pleiotropic effect. That becomes more important now that there is a second xanthine oxidase inhibitor, febuxostat. Febuxostat is metabolized in the liver so it may be safer in renal failure. In a 2013 study, febuxostat was more effective at lowering urine uric acid than placebo or allopurinol (though allopurinol was hobbled at only 300 mg daily versus febuxostat, which was turned to eleven, at 80 mg per day). The study was only 6 months long and was unable to show a change in stone recurrence or existing stone size. Longer follow up is needed to show that drops in urine uric acid translates to stone recurrence. Bob Knight with, then player, Mike Krzyzewski. Photo credit: Wikipedia. Charlie Pak and Fred Coe are the Bob Knight and Dean Smith of kidney stones. Not only did they dominate the field and do the pioneering work establishing the fundamental discoveries of the field, but they also trained the next generation of stone scientists that are currently leading the field. To this day the centers where Pak and Coe worked are world leaders in the field. In a plot twist, that would most likely happen in a comic book origin story, they were classmates at the University of Chicago Medical School, class of ‘61, and then were residents together at U of C.
Dr. Coe remained at University of Chicago but Pak went elsewhere to established the Clinical Research Center and a new Division in Mineral Metabolism at University of Texas Southwestern Medical Center at Dallas. They even jointly won the Belding Scribner Award from the ASN in 2000. The Belding H. Scriber Award is presented annually to one or more individuals who have made outstanding contributions that have a direct impact on the care of patients with renal disorders or have substantially changed the clinical practice of nephrology. Established in 1995, this award honors the physician who developed the arteriovenous shunt that first made long term hemodialysis for chronic renal failure possible. Intellectually they have staked out differing areas of excellence, Dr. Coe has focused on the the importance of the earliest stones to be anchored to the kidney. The location for these tiny early stones is Randall’s Plaques. The theory is that these tiny crystals form in the interstitium adjacent to the thin limb of the loop of Henle, they grow and eventually erode into the renal papilla. There, they are in contact with supersaturated urine which can deposit calcium oxalate (or other other types of stones?). The plaques can be seen on cystoscopy and their presence predicts stone formers. Stone formation correlates with the degree of plaque coverage. 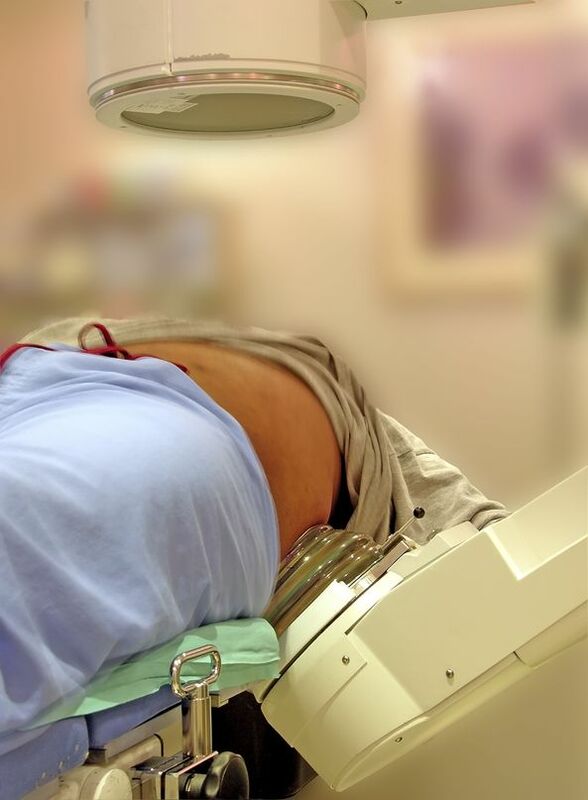 Dr. Pak has performed much of the groundbreaking work on the classification of kidney stones and using that classification in defining the specific diagnosis and using that to provide specific therapy. His work on the treatment of kidney stones established potassium citrate as the cornerstone of calcium stone treatment. thiazides appear to work regardless of the classification. His classification may have applicability to research but it has not found a validated clinical role. Following his success with potassium citrate, he was asked by the FDA to lead the team that established Thiola for cystine stones. He also did pioneering work on the use of the 24-hour urine to categorize and track the treatment of kidney stones. Oxalobacter is Kentucky. It is a fresh new face in the world of stones and has the potential to rewrite our understanding of the field, but so far the results have been inconsistent leaving you with the feeling that this is more hype than revolution. Oxalobacter formigenes are anaerobic gut bacteria that metabolize oxalate, the critical urinary metabolite in calcium oxalate stones. If you are colonized with these bacteria, you absorb less oxalate than someone with a similar diet who is not colonized with oxalobacter. People colonized with oxalobacter can plow through cans of spinach like Popeye on a bender and their urinary oxalate doesn’t budge. Siener et al found a tight dose response, such that patients with stone recurrence are much less likely to be colonized with Oxalobacter and the relationship becomes tighter and tighter as the number of stone episodes rises. Unfortunately, attempts to seed stone formers with oxalobacter have not shown consistent benefit. Regardless, if oxalobacter probiotics become the new Uro-citK, the appreciation of oxalobacter’s role in nephrolithiasis opens up microbiome as an important player in the physiology of kidney stones. That is a game changer. Bariatric surgery has been riding high since it destroyed Medical Therapy in 2012’s unforgetable EndoMadness Finals. Both Roux-en-Y and gastric sleeve were way more effective at reducing glycated hemoglobin below 6% (42% Roux-en-Y, 37% gastric sleeve, 12% medical therapy). But the bariatric surgery team may be a bit out of place in NephMadness. Bariatric surgery finds itself in the stone region because it doubles the risk of kidney stones. This is due to multiple factors such as decreased water intake, hypocitraturia and increased oxalate absorption. Interestingly, some believe that decreased oxalobacter colonization may be the cause of the increased oxalate in the urine. Not all weight loss surgeries are created equal and the Roux-en-Y is the primary culprit here. In one series of non stone formers who underwent Roux-en-Y, urinary oxalate went up by 50% while protective urinary citrate fell by more than half (358 mg v 767 mg/24 hours). Interestingly urinary calcium also fell after Roux-en-Y, negating some of the stone forming effects of the citrate and oxalate. In a study comparing Roux-en-Y to gastric banding, both procedures resulted in low urine volumes, but the gastric band did not have the decrease in citrate or increase in oxalate. Unfortunately, Roux-en-Y remains the most popular procedure, though it is falling in popularity at the expense of sleeve gastrectomy. One of the most concerning aspects of this problem is the shadow of the jejunoileal bypass procedure. This procedure also has a high rate of kidney stones, upwards of 30%, but more concerning was the high rate that patients developed CKD following the bypass. Some cases of oxalate nephropathy resulting in ESRD have been reported after Roux-en-Y for weight loss.